Mobile devices have transformed the way people access and share information online, and the mobile application has become the digital vestibule for any business or organization. However, businesses with the aspiration to develop mobile applications are sometimes left without a clear path for development. iOS products make up a large share of the user base, but should your app be developed natively for that environment? Or should you focus on a more versatile, cross-platform application that is developed to run seamlessly on any mobile device? In order to decide, there are a few key points of consideration. 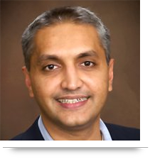 The main advantage in developing natively is a technical advantage. By focusing on a single OS, such as Android, a developer can strive for fast performance, superior security, and a rich user interface that takes advantage of the device’s unique capabilities. Native development is usually the preferred approach when the app requires the use of high-end graphics or if the app needs to access device-specific features like a camera, geo-location, address book, or eye tracking. Natively developed apps offer high performance, but developers must maintain and build separate apps for each platform. Cross-platform apps have a cost-saving advantage, because the app is developed once and works on all platforms. Cross-platform apps are developed and deployed quicker than separate native apps, and reach a wider audience because they support multiple platforms with generic code. However, these apps fail to take full advantage of a unique device’s performance hardware and capabilities. Cross-platform apps are often preferred when dealing with database list queries or when the developer requires wider market coverage with a cost-effective solution. Ultimately, the determining factors between native and cross-platform development are the app’s purpose and complexity, as well as market coverage and budget. 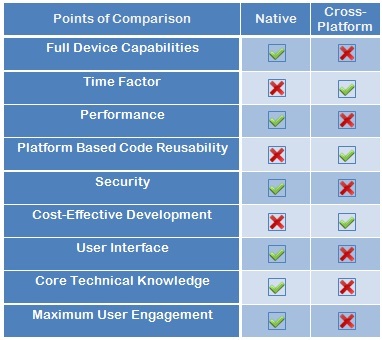 Cross-platform development should be the default approach for simple apps that can be developed quickly and cheaply for multiple devices, but more complex apps that have advanced hardware, UI, and core technical requirements, should consider a native development approach. What approach do you find best when developing mobile applications? What factors do you consider when deciding on which approach to use? Please let us know in the comments below. Call us at 484-892-5713 or Contact Us today to discuss how we can bring your app idea to life. This is one of the biggest problem among developers as well as enterprises that which mobile app development approach is best to their business. According to me choosing the cross platform mobile app development technology is one of the best approach to them. Its a single code base approach which saves lot of time, development cost and easy to use. After reading the blog I have found the most valid point is the Cross-platform apps have a cost-saving advantage. I guess developers have go consider this point. i agree with "Natively developed apps offer high performance, but developers must maintain and build separate apps for each platform". I wait for another post on Natively developed apps and Cross-platform apps . Selecting the right approach for developing an app is highly important. 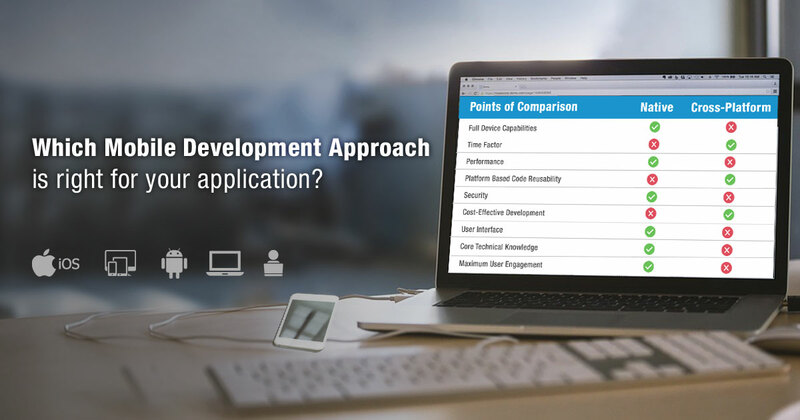 Deciding upon the right mobile app development approach for your enterprise is not a multiple choice question with one clear, correct answer; the best course of action will depend on a number of factors.